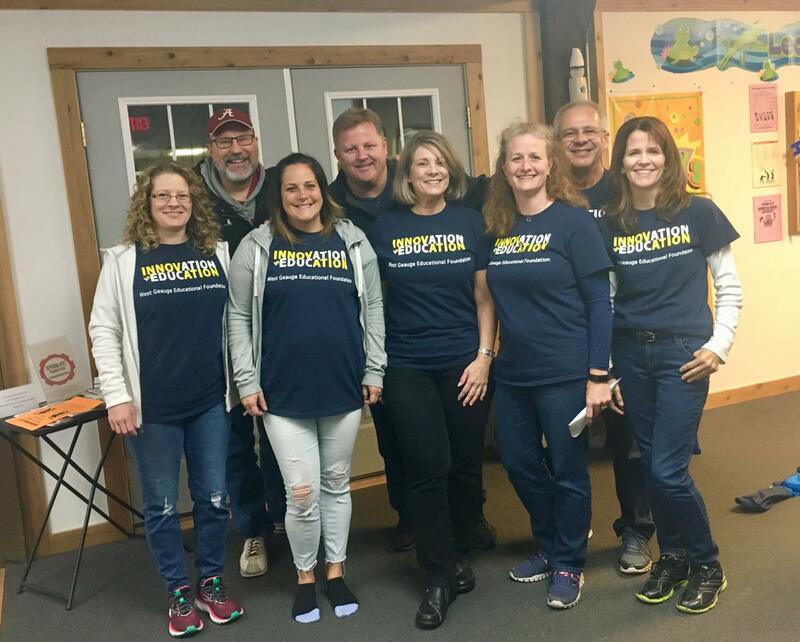 The West Geauga Educational Foundation recently received and awarded grant proposals for funding during 2019. WGEF funded over $14,000 total for three innovative grants: “Google Expeditions Virtual Field Trips” presented by Anna Laubscher and Jilene Urbanek for use in both Westwood and Lindsey, “Aquaponics” (food production, sustainability and population concepts) presented by Mike Sustin for the High School and “21st Century Classroom” (modified and adaptable classroom learning options) presented by Angela Wyatt for use at Lindsey. More than $7,400 is available for additional grants to benefit the West Geauga Schools. Deadline for February grant submissions is February 15, 2019. Pictured: Sara Sustin, Steve Goden, Steph Gruber, Tom Williams, Jill Snyder, Cheryl Fousek, Jeff Fousek, Caise McHale.